TV can be fairly helpful for child-rearing, although too much is never a good thing. For many parents, having the TV means a half hour or so of time when the children are entirely occupied, meaning they can focus their attention on other duties. Having a dedicated playroom/entertainment room for your children can be a helpful means of getting them to focus on something constructive for a few hours, leaving you free to center your concentration on other responsibilities you might have. Obviously, the space needs to be safe, but there are a few other things you will need to keep your children entirely entertained. Of course, there’s a TV, but you’ll also need to decide exactly how to display it. If your children are old enough to use the TV, components and remote control without your supervision, a simple TV stand should help. Otherwise, keep it high out of their reach either with a wall mount or a TV Stand with a back. Next, keep a small table with chairs in the room, so they have some place to color or practice some other craft activity. Try to color the walls with soothing, playful colors such as sky-blue or a light green. If you don’t want to change the color of the room, at the very least add pictures of some classic cartoon characters and give the furnishings a bright, stimulating finish. Finally, try to incorporate kid-friendly flooring. If this is their entertainment room, they shouldn’t be doing too much running, however with young children, you should prepare for everything. Try to use an anti-slip material on the floor – carpets are always a safe bet. Just make sure it’s something that will be easy to clean if you plan on permitting food or drink inside your children’s entertainment room. 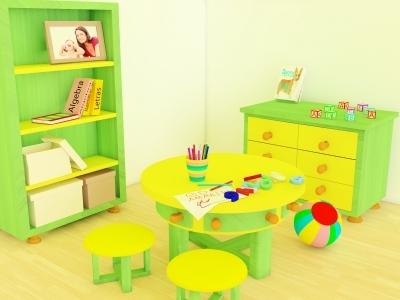 Do you have any good ideas to decorate a children’s entertainment room? How do you decorate their play space? You’re not boring. You don’t watch boring TV. You don’t go to boring events. Sure, sometimes you may be bored. But you’re not boring. And your home certainly is not boring. Your home, your living room especially, should be a reflection of what inspires you, what you enjoy and what you find fun. And it’s easy to show that with a great home entertainment center. Let your home entertainment center tell your story and show who you are. Decorate it with your favorite pictures, sculptures and pieces of art you’ve collected in your travels down life’s dusty road. Let it be a reflection of all that you find fun, stimulating and entertaining. Let it be your place of entertainment. Your living room is a reflection of you. Use it to show us what you’re really all about. Today, April 19, is National Humor Day, so we must recommend that you plop yourself down on the couch and watch a funny movie. It’ll be good for your health. While laughing will probably make you feel better, do remember though that many studies surrounding the effects of laughter on human health are iffy at best, and you shouldn’t expect laughter to be a cure all for any illness or serious medical condition. Laughing will however give you a little boost in your energy and daily outlook. You’ll feel better overall, though it most certainly won’t be the only factor contributing to your good health. So when you get home from work tonight, enjoy some comic entertainment and let yourself laugh. You’ll like how it feels. We’re all familiar with the tales of King Arthur and his Knights of the Round Table. According to the legend, King Arthur lived and held court in the mystical castle of Camelot. You already knew that right? What you probably didn’t know is that some scholars believe they’ve found the real Camelot. Yes, Camelot, like King Arthur, may have been a real place in Medieval Britain, though our current conception of it is probably far removed from the real Camelot. The real Camelot is believed to be Cadbury Castle, an Iron Age Hill Fort located in South Cadbury, Somerset, England. Local tradition claims that the fort was the original site of King Arthur’s Camelot, first written down and acknowledged by the English Historian John Leland in 1542. The name Camelot is most likely derived from the nearby River Cam as well as the nearby villages of West Camel and Queen Camel. The interior of the castle contains a large Great Hall area. Archaeologists found artifacts within the fort not native to Britain, such as Mediterranean pottery, which would indicate the occupants of the fort had wide trade links throughout much of Europe. Scholars have therefore deemed it probable that the Cadbury Castle was the home of a major British Ruler and his teulu, or faithful followers (*cough*Knights of the Round Table*cough*). Arthurian legend does state that Cadbury would have been within Arthur’s supposed kingdom. What do you think? Could Cadbury Castle be the Camelot of legend or are archaeologists just chasing legends and folktales? Since Season 5 of ‘Mad Men’ premiered last month, the interior design world has been swept up in ‘Mad Men’ fever. Everyone loves the show’s mid-century modern set design and furniture pieces, both in the characters’ homes and the offices of Sterling Cooper Draper Pryce. However, doesn’t it seem a little strange that we often refer to this style as “modern?” Sure, it was modern in the 1960s, but is that ‘modern’ now? The mid-1900s were certainly an exciting time for the design world, but here in the 21st century, we need to update it a bit to get with the times. 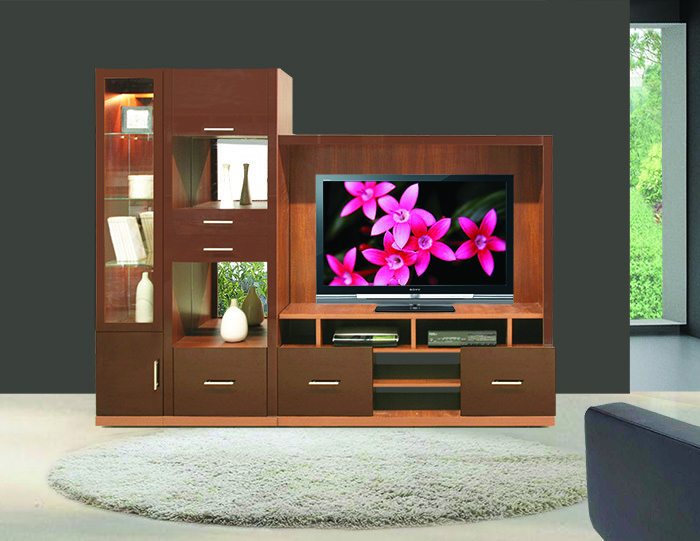 At Contempo Wall, we give our mid-century furniture a more modern touch on the technology end. From swiveling centerpieces to flat-screen TV mounts to self-closing drawers and more, we’ve incorporated the best of furniture & design technology into our work to make sure that we accommodate the technology you use at home. 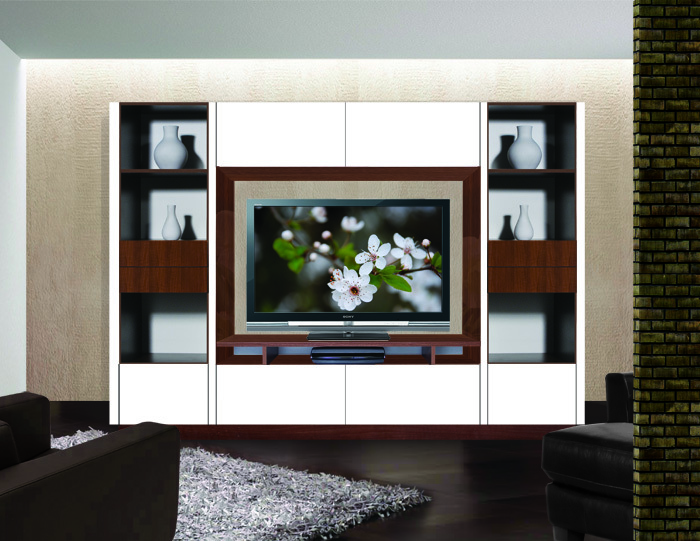 We even decided to “lighten up” our entertainment center wall units with ambient lighting systems. Attached to the flat panel TV mounting rack, the ambient lighting system produces a heavenly glow around the TV which not only looks nice, but will actually make your viewing experience better. For more details, see this post. The ‘Mad Men’ designs are great, but at the moment, we’d rather see mid-century design savvy wed to 21st century technology. And so far, we’re doing a great job making that happen. In honor of the new baseball season, let’s take a look at the one of the greatest sports stadiums known to man: the old Yankee Stadium (the new one’s great, too, but we’re talking about history now, not architecture). Read on for some fun facts you might not have known about the house that Ruth built. 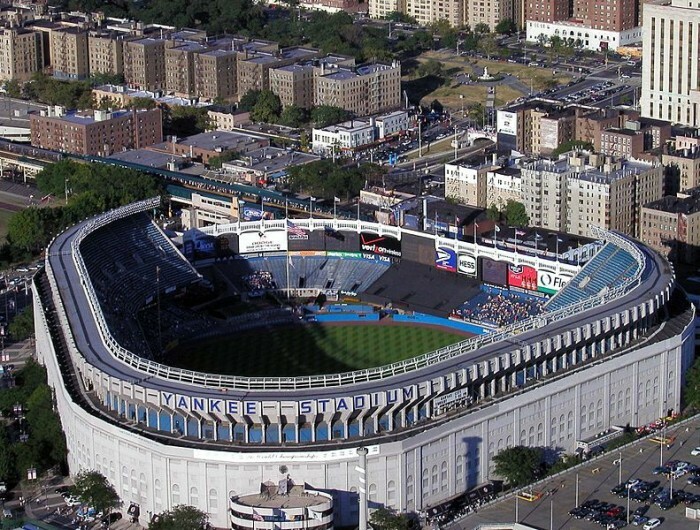 - The first game ever played at Yankees Stadium was the Yankees vs. The Red Sox. The Yankees won 4-1. Babe Ruth hit a three run home-run in the third inning (the stadium’s first homerun, too). - The Yankees won the 1923 World Series (the same year they began playing in the new stadium), against the NY Giants. - The stadium’s field level was actually several feet below sea level. - The stadium hosted 37 World Series and a total of 100 World Series Games. The Yankees won 26 World Series titles at Yankee Stadium. - The last home run to be hit in the park before its demolition was hit by Yankees catcher Jose Molina on September 21, 2008 against the Baltimore Orioles. It was the last game played in Yankees Stadium. Do you have any fun facts or stories from Yankees stadium? Please share in the comments section! Yesterday, we discussed the importance of keeping your home entertainment in mind when redecorating or designing your interiors. Today, we’re going to discuss a similar concept, called Techorating, which is the practice of combining technology and interior design to unify a space. Studies have shown that Americans are investing more in their home entertainment, buying HD TVs and home theater systems instead of going out to movie theaters or concerts. Thanks to this trend, interior designers must also become ‘techorators’ and consider the possibilities that home entertainment technology may either present or take away. As we discussed yesterday, entertainment systems can take up a lot of space, and it’s important to take this into account for not only style purposes, but also organization. Let’s say you buy a new flat-screen TV. Now you’ve got to consider how to display it. You could hang it from your wall, but then you’d have to go through the hassle of finding a stud and making a hole in your wall. You could purchase a TV stand, but then you need to make sure that you’ve got enough room for all your A/V components and media accessories. Plus, you have to figure out how to manage all those wires. Messy wires aren’t just an eye sore – they’re also very dangerous. Thankfully, though Contempo Wall has been on top of this whole techorating trend for a while now. 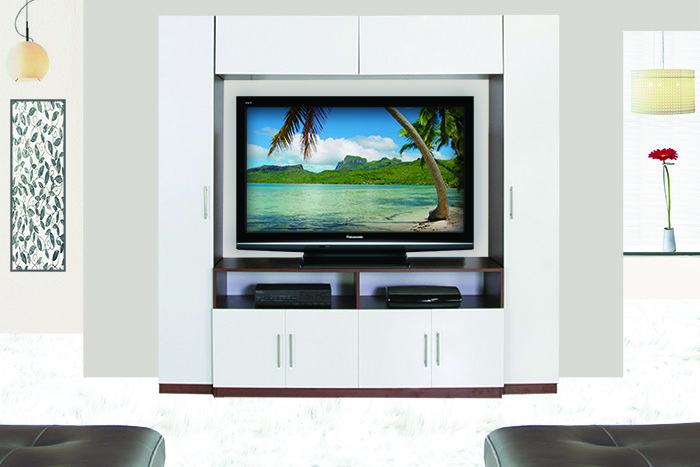 Our custom wall units and home entertainment centers are designed to solve problems. With a Contempo Wall home entertainment unit you don’t have to find a stud, messy wires are taken care of by our integrated cable management system, and, best of all, there’s plenty of storage room for any media accessories you may need. Take your home to the next level and ‘techorate’ with Contempo Wall. When we talk about design and decoration, we often focus on color and space. You mix colors to set the mood and tone of your home, and then consider the space to predict how your furniture layout will dictate movement and interaction. When discussing the two, the usual suspects of home design pop into the conversation – furniture, wallpaper, paint, lighting, accessories, etc. – but we rarely think to remember one of the most important features of any home living room – the entertainment. Entertainment plays a huge role in American households. According to the Nielsen Company, the average American household has 2.5 TVs. Though we can’t determine exactly how big those TVs are based solely on this data, TVs usually come with a variety of components including video game systems, Blu-Ray/DVD players and sound systems. So when you think about it, nearly an entire wall may need to be cordoned off for entertainment purposes. That’s a lot of space to consider, and if you aren’t mindful of it, the entertainment space could throw off your entire design scheme. So whenever you’re planning to (re)decorate your home, remember to keep in mind all the entertainment you use. You know it will be there – plan to use it. At Contempo Wall, we operate on a simple design philosophy: solve people’s problems. Sure our furniture looks great, but it’s just as important that our furniture has some utility associated with it. Every piece from Contempo Wall has a purpose…or maybe two. 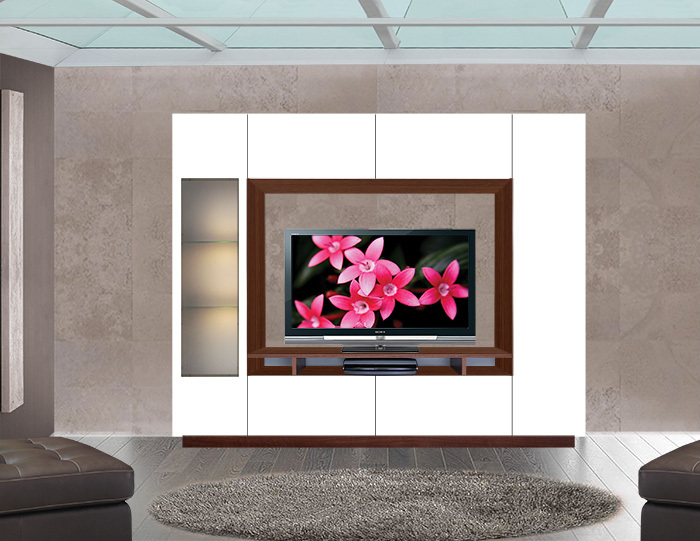 Contempo Wall’s Home Entertainment Centers and Custom Wall Units have adopted a wide variety of storage functions to accommodate your home entertainment needs. From oversized storage drawers to shelves to ambient lighting mounting panels, our wall units can hold all your entertainment accessories then some. Each of our modular wall units from the Metropolis to the Sawyer to the Chrystie is built for entertainment. They’re flat-screen TV platforms with extra space for A/V components and an open back for easy cable management. We strive to build living room furniture at its peak, of course, but we’ve incorporated a ton of extra storage space for you so you can keep more than just your big screen TV close by. Use the space for media storage or get creative. What are the things you find yourself using in the living room or at least find you need? We want our storage accessories to reflect your living room furniture needs. A couple of weeks ago, Steve Kurutz published an article in The New York Times titled, “Furniture Design Meets the Digital Age.” Kurutz’s article focused not only on current developments in furniture design, but also the future of those developments. “In decades past…designers had time to anticipate where technology was headed and to plan for it,” he writes, however today, it’s practically the opposite. 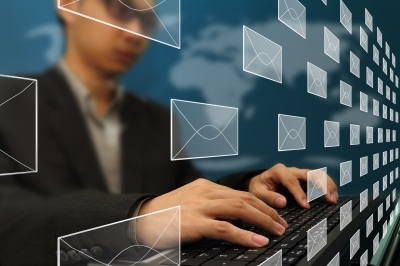 Technology moves so quickly that designers must act rapidly to keep up. New ideas and technologies are being introduced at an increasingly quick pace, meaning designers have to work faster, too, in order to remain relevant. Here at Contempo Wall though, it’s less a matter of staying on top of the times, than it is staying ahead of them. We’ve been designing mid-century modern furniture for over half a century. We’ve seen the world change and we know it’s going to change again, soon. We design for today while leaving room for tomorrow. Technology changes how we live in the blink of an eye. Be prepared with Contempo Wall, modern home furnishings.